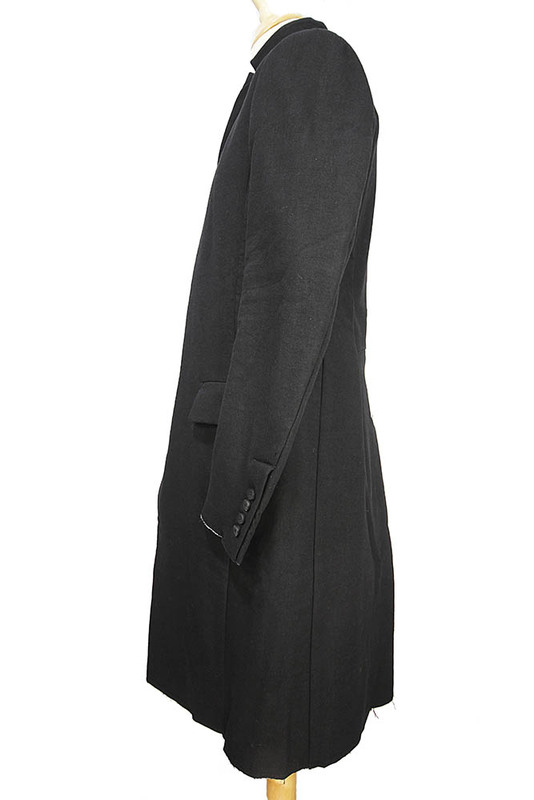 Masnada long black coat in a substantial wool and linen mix fabric, black. Called the Insulated coat it has a very subtle padding, while maintaining the sharp silhouette. The collar can be worn up or down. 5 button fastening. Flared at hem. 2 pockets with flaps. 4 button working cuffs, with raw edged finish. Single vent at rear. Fully lined in white. 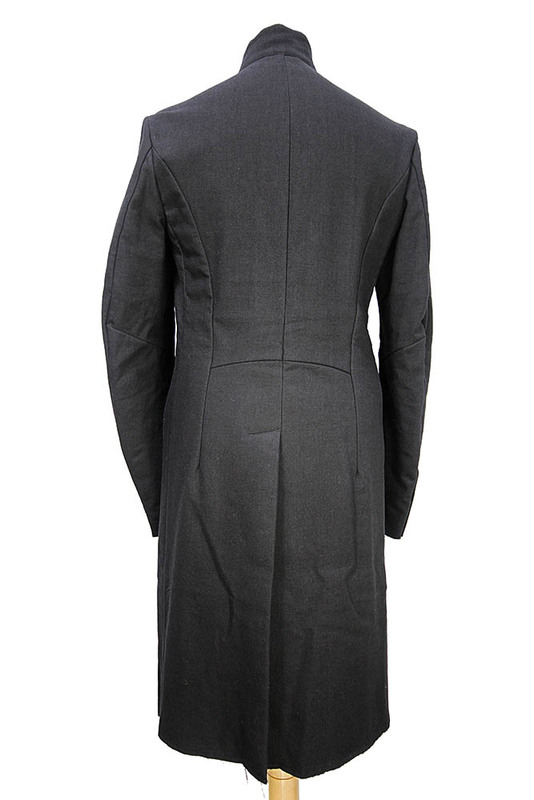 This coat is constructed and finished to the very highest standard, with French seams. Great detail throughout, as good as it gets!